I've spent such a long time looking for a truly effective way to whiten my teeth. When it comes to whitening teeth at home, there's a lot of options that claim to work. I swear I've tried absolutely everything to whiten my slightly coffee stained teeth. 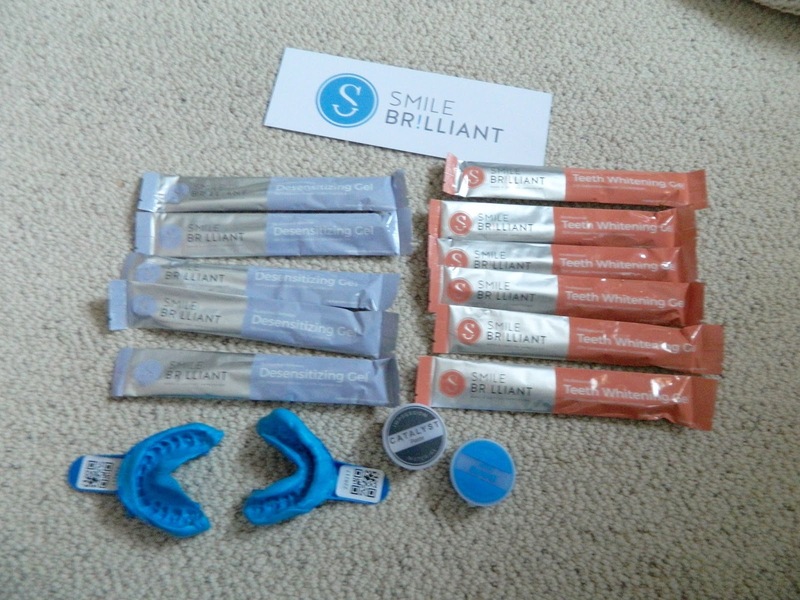 I was so excited when I got to try out Smile Brilliant, as I finally found a teeth whitening kit that works! I'm going to share exactly how I whiten my teeth at home using Smile Brilliant, and exactly what I think of the entire kit. Stay tuned until the end of the post to enter an exciting giveaway! 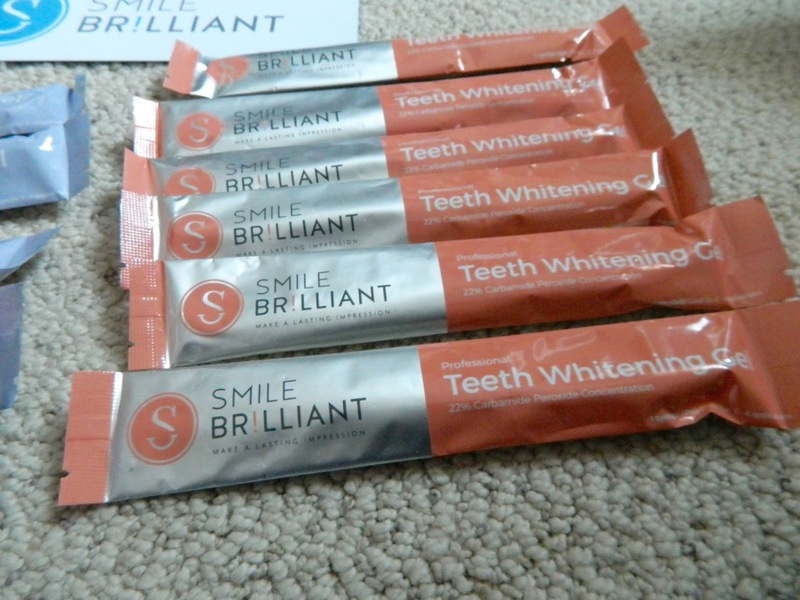 Let me start off by saying I was quite skeptical prior to trying out Smile Brilliant. I've tried out so many teeth whitening products in the past that claim to be the absolute best, but really haven't seen a big difference is the whiteness of my teeth. I was shocked when I saw the difference after using the kit for awhile, and I definitely plan on continuing to use it. 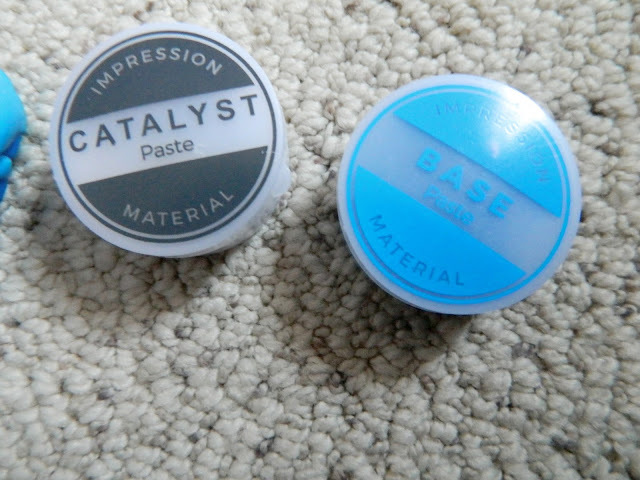 *2 catalyst pastes and 2 base pastes are not shown in their containers in the photo above, as they are in the impression trays (since I made the impressions before taking this photo)! Step 1: Mix the catalyst and base base paste together quickly with your fingers. All you have to do is continuously fold the pastes in half to mix them together. You'll want your finished product to be solid blue, so make sure there is no visible white left. Try your best to mix the putty in under 60 seconds because it will begin the harden. Step 2: Place the mixed putty into the trays provided. I was also nervous about this part. I started having flashbacks of back in middle school when I had to get impressions taken for my retainers after having braces, but I promise you it's nothing like that! Just simply spread the putty evenly over the trays quickly. Step 3: Make the upper impressions. Do NOT mix the two trays at once. Just do one at a time, as you have to leave each tray in for at least 2 minutes and 30 seconds. Gently press the trays onto your teeth evenly, and press just deep enough so that the putty flows over your gum lines. Leave the tray in until the material begins to harden (usually about 2 minutes and 30 seconds) and gently remove. Step 4: Repeat on the bottom. Do the exact same thing with the bottom tray and remove after the adequate amount of time. Step 5: Verify that the impressions are clear. 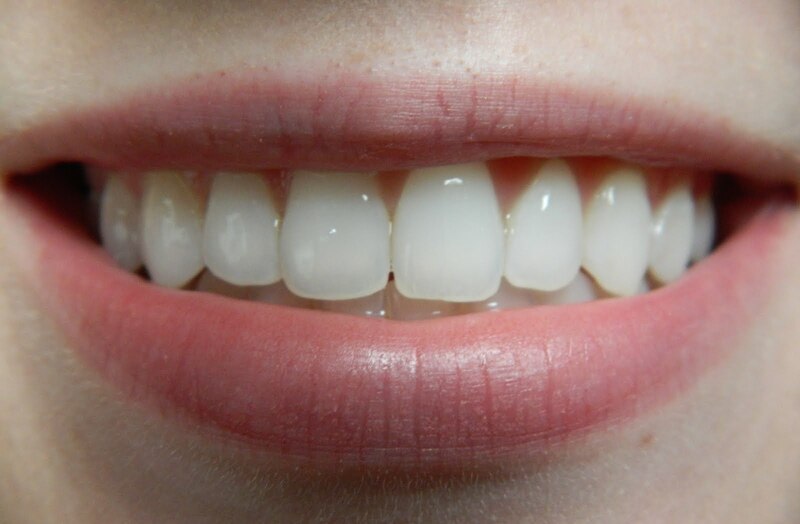 Before letting the impressions sit, verify that you can clearly see the impressions of your teeth. If they are not clean, simply remove the putty and redo the impressions using the extra set of material provided. Step 6: Let the impressions sit for 30 minutes and rinse. After 30 minutes, rinse the impressions with water. Do not put the impressions into the mailing envelope unless they are fully hardened! Step 7: Send your impressions to the lab! 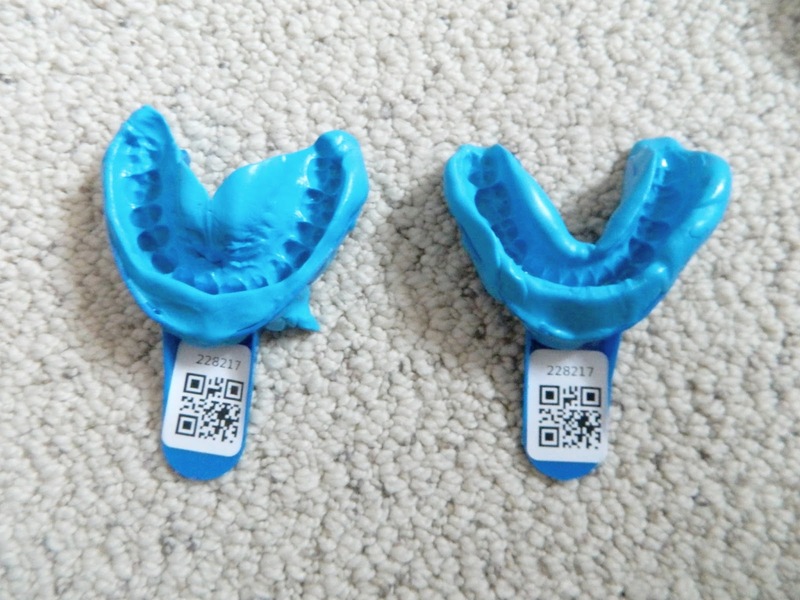 Place your upper and lower impressions into the prepaid mailing envelope provided by Smile Brilliant, fill out the return card, and mail off your impressions to the lab. Step 1: Remove the cap of the whitening gel. You can usually twist off the cap, but use scissors if you're having trouble. Save the cap so you can recap the syringe, because this will extend the shelf life of the product! Step 2: Apply a thin layer of gel along the front of the trays (basically apply the gel to the area of the trays that comes into contact with the front of your teeth). Step 3: Insert trays and whiten! Apply the trays to dry teeth, and the gel should spread evenly over the front surface of your teeth. You can whiten your teeth anywhere from 45 minutes - 3 hours, depending on your sensitivity. I didn't have any sensitivity since I used the desensitizing gel after whitening my teeth. 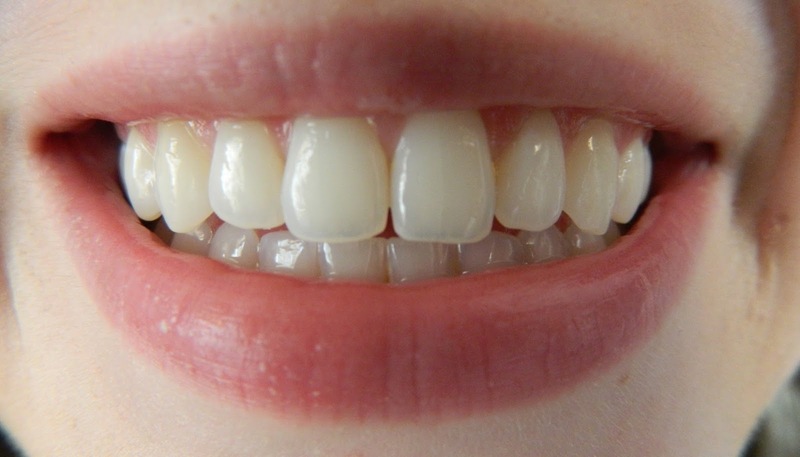 I tend to have sensitive teeth, so I only left the trays on for about an hour each session and I still saw amazing results! Step 4: Remove and clean trays. 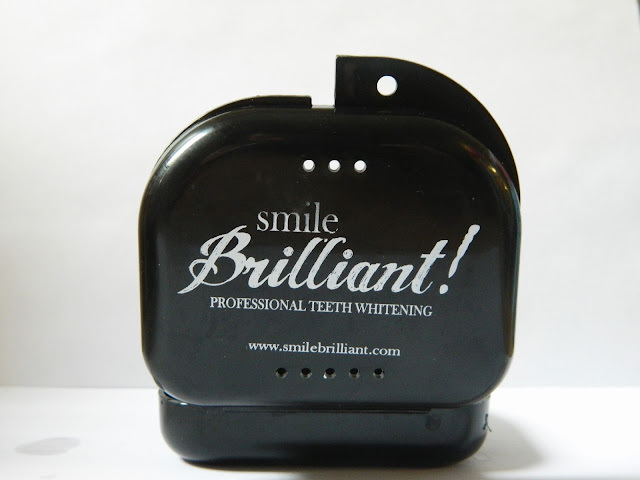 After removing the trays, give them a good cleaning and place them back into the case provided by Smile Brilliant. Brush your teeth like you normally would. The desensitizing gel worked wonders for me. I was shocked that I had absolutely no sensitivity throughout the week or so that I was whitening my teeth. You basically do the exact same thing you do with the whitening gel, but you only leave it on for 15-20 minutes. The desensitizing gel is awesome because it helps to reduce sensitivity and even prevent future staining, so it's definitely important to use the gel after each whitening session. Don't brush your teeth or rinse your mouth after using the desensitizing gel, just spit any excess out and let the gel do it's thing! As I mentioned, I was really skeptical before trying this product. I've tried so many teeth whitening products that claim to be the best. My teeth aren't extremely yellow or anything, but I definitely had visible coffee staining (since I'm obsessed with coffee). I've tried every whitening strip out there and nothing really made a difference. 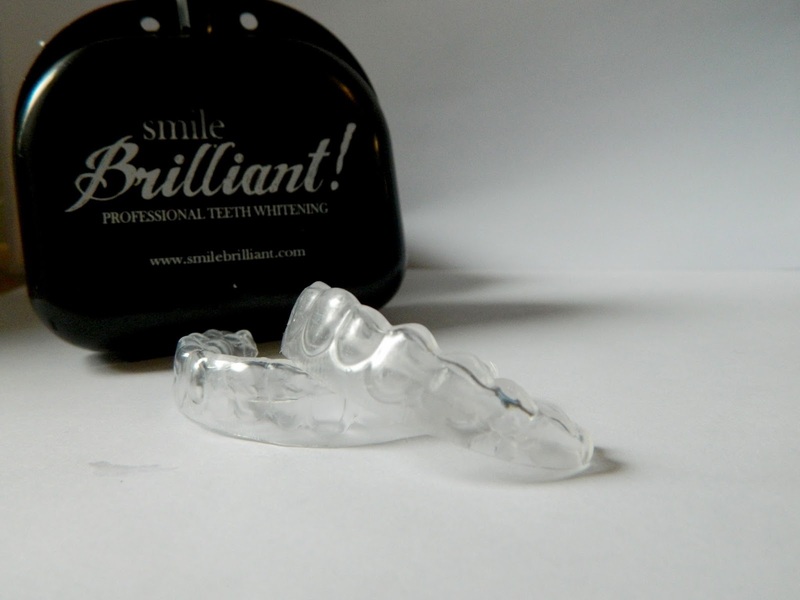 I was blown away by how well Smile Brilliant worked in such a short amount of time. I could see a difference after the first application, and I knew I was going to have a great experience with the product. After a little over a week of whitening, I was so pleased with the dramatic results from Smile Brilliant. I would highly recommend this product to anyone who is interested in getting the results of professional teeth whitening, but doesn't want to pay the crazy prices at a dentist's office. Smile Brilliant is really affordable for the amount of product that you receive and the amazing results. You can enter thedailydelicacy at checkout to receive 5% off your purchase on the whole site! *A big thanks to Smile Brilliant for collaborating on this post! I am trying this product right now and I love it. I could see results since day 1! Wow, this is amazing!! Such great results! I know I'm super impressed! Wow you can really see the difference! I've always wondered about these! Wow, such a great review; would certainly like to try it. Ps; You have a nice set of teeth. Wow. I definitely see the difference :) I entered! Sounds great! Your teeth look really good. Yay for pearly whites! Your smile looks amazing, lady! Sounds like a great giveaway girl!! Looks like the product worked really effectively for you!! Stunning results!! Thanks for the giveaway! Wow! stunning result! This is a must try. Thanks for sharing beauty. ARTMAN instruments welcome you to our website and look forward a rich browsing. We are leading surgical instruments providers all over USA, Canada and Europe. Currently our focus is on dentists, orthodontists, Implantologists and general surgeons.